 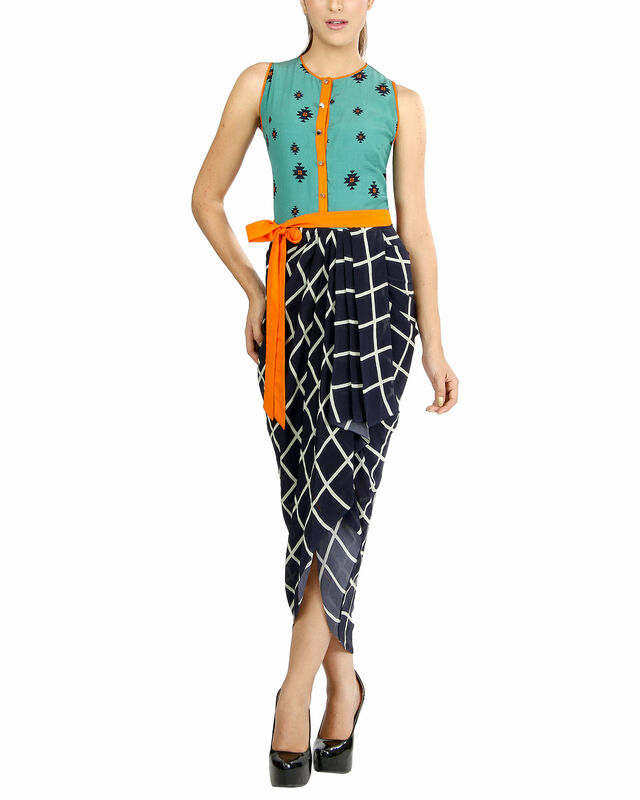 Geometric printed sleeveless dress with a round neck. 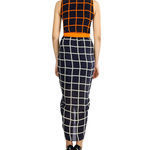 The dress has a turquoise blue yoke and checkered bottom. 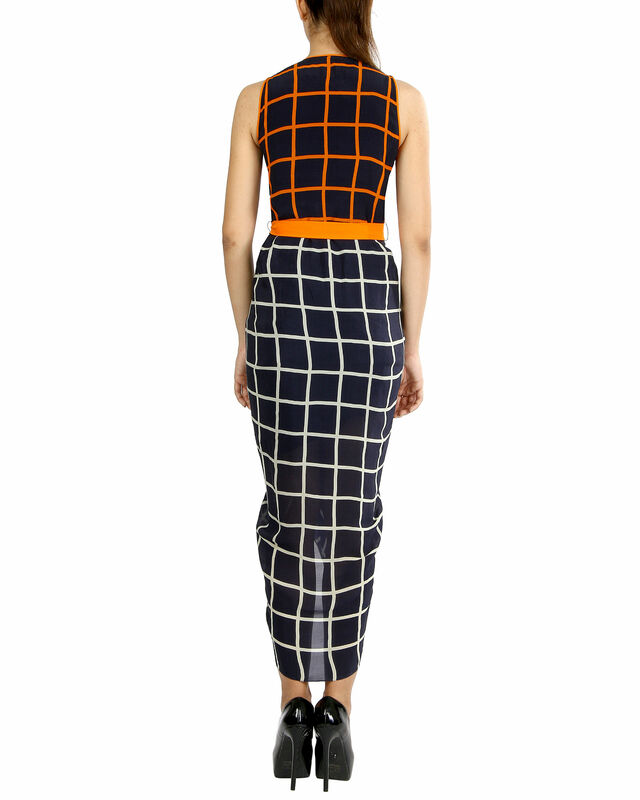 The back of the dress is also checkered in black and orange.